Prepare: Wash marrowbone in salt water and cook them through boiled water. Removed the first water then add 1.5l filtered water and cook in 2 hours. Cut snakehead in bite-sized chunks, marinate them with fish sauce, sugar, seasoning powder, pepper, garlic and turmeric powder in 30 minutes. Heat the oil, put purple onion and stir, then add spice snakehead and cook with small fire in 20 minutes. Pour them in pot of bouillon & continue cooking till it’s fine. Turn the oven off and season if you like. 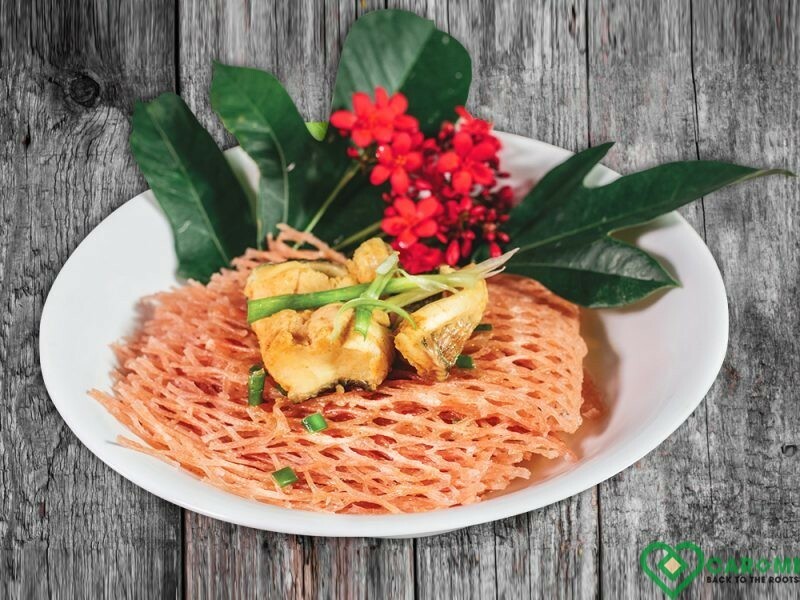 Break cassava noodle in bite-sized chunks, soak them in clear water for 5 minutes and drain in minutes. Enjoy them with warm bouillon.